In November 2014, I remember lying in bed, wondering what could be done about a widespread problem in my church community: how could we help the dozens of kids in our community who were standing on bus stops and running errands in the freezing weather but didn’t have coats? The next day, I woke up and wrote this, and within two weeks, we had raised the funds and collected one hundred coats to clothe the kids in our community. Like one of my best friends, who recruited his mom, his dad, and their community several hours away. Like the mom of one of my best friend’s from college, who chose to use her inheritance to bless other people – the way her mom would have. Like former church members who used 21st century shopping technology to pitch in from hundreds of miles away. Like my parents, who raised me to see others as part of my responsibility. Like youth who heard about the problem and wanted to help by collecting toys and coats. Like “random,” God-ordained people who heard the story and stopped what they were doing to help. This year, I find myself in a new community, but one desperately in need of some love … and coats. Most of the kids at the school where our church is involved are on free lunch; many of them are hurting for the support and help to have enough to eat (or clothes to wear). And the weather folks say this will be the snowiest winter in recent memory. So, today, I’m asking you – do you have the ability to help? Can you make a difference? Respond here – find me on Facebook – or call Wesley UMC at 804-458-6932 and ask for Jacob. Or, start something in your community – make a change with the resources you have and the people around you. 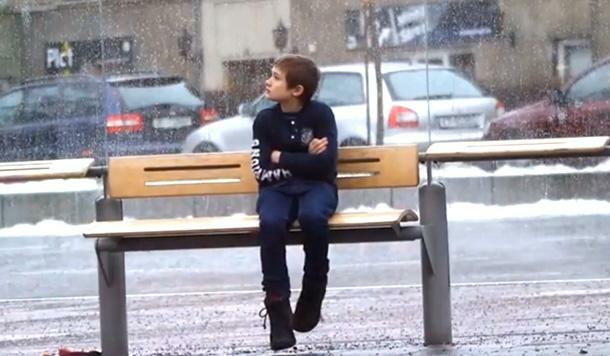 No kid should have to face winter without a coat.